Jugaadu Internet: Would you like to get paid to blog? 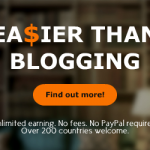 Would you like to get paid to blog? In March this year I had shared an article writing site called WLE. At that moment one article was sold for 4.14 $ and 9 were waiting to be be picked up by clients at the rates approved by WLE. Well, I did not write there for months and none of my articles were sold. WLE has an option called fast sell, where the site buys your articles at 10% of the originally approved rates. Since none of the 9 articles were sold, I decided to opt for fast sell and most of my articles were picked up and I got paid through paypal. This is a worst case scenario, just imagine what I'd have made if all the 9 were picked up by clients visting WLE. The point is my blogging did not go waste and if I write well on topics which are popular I will make more. Last week I received a payment of 6.21$. Overall I have been paid over 12 $ for 6 articles. Roughly over 2 $ an article. The message is clear. Keep writing regularly and wait for your articles to sell, if not opt for the fast sale and get some money. If you keep writing often you are likely to sell more. The payment is twice a month and if you have more than 5$ in your account you can claim payment. Depending on how frequently you write you can make upwards of 10$ every month. The exchange rate at paypal lat week was INR 63.9 to 1 USD. I believe by writing more you are bringing in US currency by exporting your writing skills. In India online writers are getting paid INR 50-75 for a 500 word article whereas at WLE you get paid a min. of 2$(Rs125) and a max. of 15$(Rs 960) depending on how well you write. If you are fond of writing original content, WLE is ready to rate you and sell your articles for you. As and when your sales exceed 5$ you are paid, twice a month. 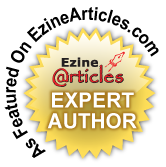 The rating done by in-house editors at WLE helps you in improving your writing to earn more. There are no suspensions or terminations. so long as you don't plagiarize. WLE is an apt online site where you can write, learn and earn in USD. The more you write and the better you write, the more you enhance the possibility of making a decent fortnightly income from the comfort of your home. And there is also the option to introduce competent and good writers to online writing and making 10% for every article they manage to sell. I have referred 23 writers, two are active and I have been paid referral payment once, because his article was sold.